Apple just unveiled iOS 8/8.1 and Mac OS X Mavericks at the Worldwide Developer’s Conference 2014, and it has a lot of exciting features to play around with. 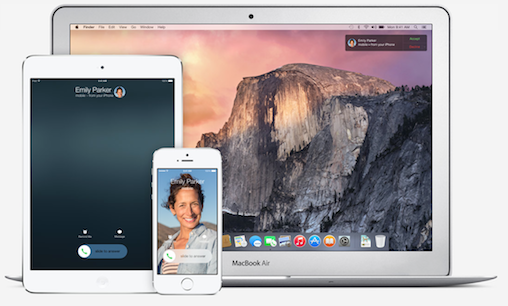 In addition to app and web Hand off in OS X Yosemite and iOS 8, Apple’s new Continuity features include cross-compatible AirDrop, easy tethering, the ability to make and take iPhone calls on iPad and Mac, and the ability to send and receive SMS and MMS from all your green-bubble friends from all your iOS and OS X devices. That means, you can Send and Recieve SMS Text With OS X Yosemite 10.10 and iOS 8/8.1 now. 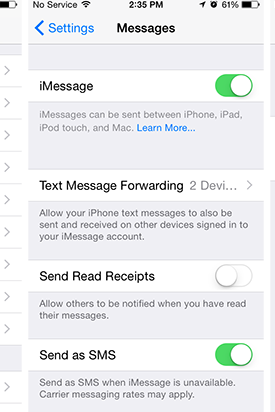 How to Send and Recieve SMS Text With OS X Yosemite 10.10 and iOS 8/8.1? Note: Having no idea about how to update iOS 8 from 8G iPhone 4S, you can read here. Then, Here’s the simple guide to use in order to send and receive text messages through OS x Yosemite 10.10 and also iSO 8/8.1. First : Go to Settings and once you get there, select the message icon button. It’ll open up the message’s page. Next, you will see a couple of options you can choose from. Select the forwarding button, and you will have a short code display on your phone. The phone will ask you to enter the code. Don’t forget that both devices should be connected to the same WIFI network or connection. You should be able to send a SMS Text now. Fortunately, you can easily send and receive SMS Text with OS x Yosemite 10.10 and iOS 8/8.1 now, make full use of your Apple devices. Have fun! If you have an iPhone running iOS 8/8.1, you’ll now be able to take phone calls on your Mac or respond to text messages from any of your contacts using your keyboard. Don’t forget to check out the full list of changes in OS X Yosemite, and catch the full iOS 8/8.1 low-down too if you’re iPhone- or iPad-inclined.